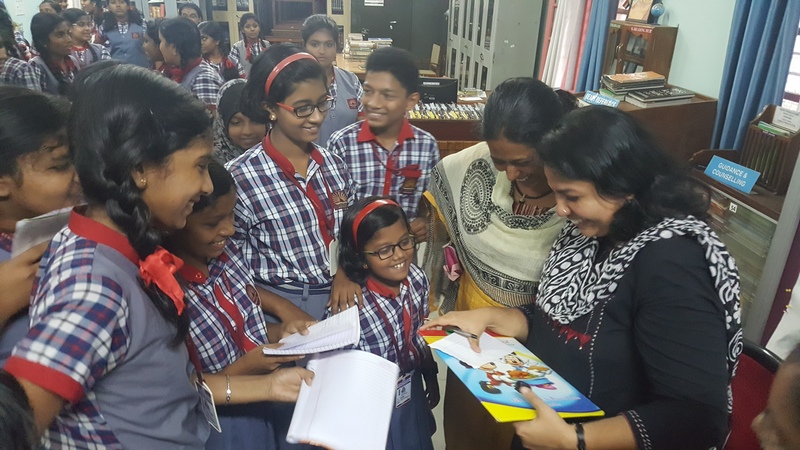 Ms Nayanathara, English poet and artist interacted with the members of Readers’ Club of Kendriya Vidyalaya Pattom at the ‘Meet the Poet’ programme organized in connection with the National Reading Month. In her speech, she stressed upon the importance of reading to become a good writer. Ms Nayanathara recited poems from her latest book ‘The Children of the white God’. The students of KV Pattom presented own poems that was followed by a discussion. Shri R. John, in-charge Principal, KV Pattom presided over the programme. Smt L. Jayalakshmi, English Teacher, welcomed the gathering, while S. L. Faisal, Librarian proposed the vote of thanks. ‘Meet the Author’ with Khyrunnisa A.
Ms Khyrunnisa A., Children’s Writer and Columnist interacted with the Readers’ Club members of KV Pattom during the ‘Meet the Author’ session organized in the Library on 21 January 2016. Ms Khyrunnisa distributed prizes to the winners of various competitions. She also inaugurated a Two Day Book Fair organized in collaboration with M/s Scholastic Intl and TBS Publishers. Smt Khyrunnisa A., well known children’s writer and columnist will interact with the students of KV Pattom on 21 January 2016 at 7.00 am under the ‘Meet the Author’ series organized by the Library. Smt. Khyrunnisa will inaugurate a two day book fair organized in the campus in collaboration with M/s Scholastic Intl and TBS Books, Trivandrum. 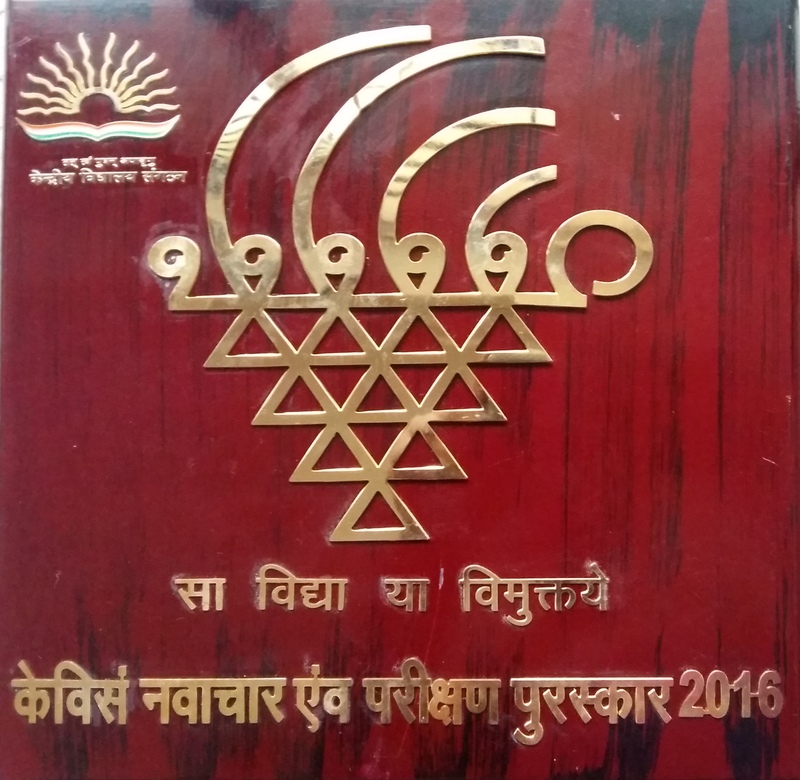 She will also present certificates and prizes to winners of various literary competitions. Khyrunnisa A., prize-winning author of children’s fiction, loves reading, writing, arithmetic and children. She created the popular comic character Butterfingers for the children’s magazine, Tinkle and her Butterfingers stories appear in that magazine. The Butterfingers series of books, published by Penguin (Puffin), began in 2010 withHowzzat Butterfingers!, her first children’s novel. It was followed byGoal, Butterfingers! in 2012 and Clean Bowled, Butterfingers! in 2015. A book of her short stories, Lost in Ooty and Other Adventure Stories, was published by Unisun Publications in 2010. Her stories appear in Tinkle, Dimdima and other children’s magazines and she freelances for other publications too. 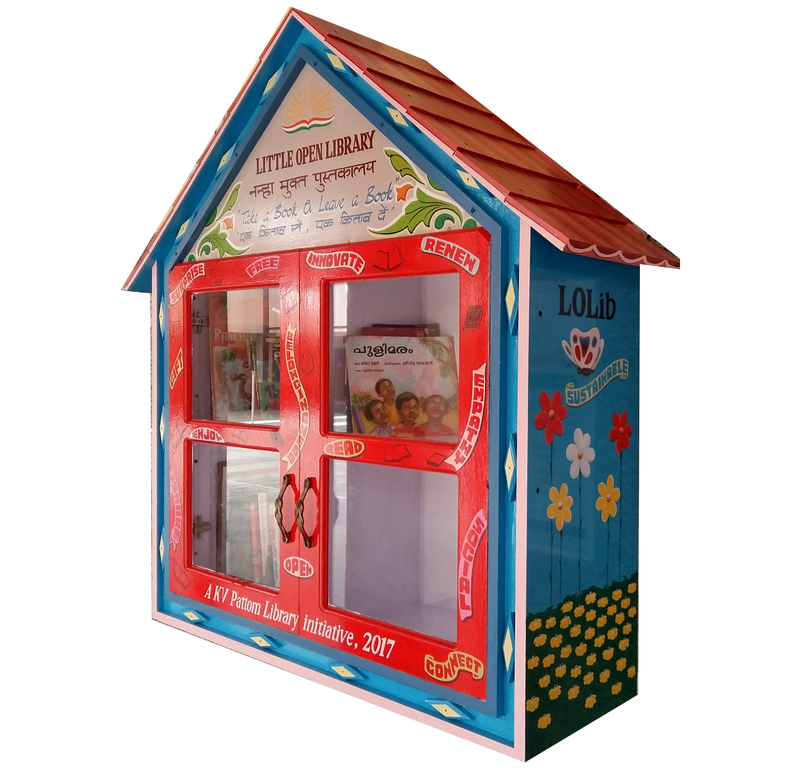 Some of her stories, for children and for adults, have been published in various anthologies by Penguin(Puffin), Children’s Book Trust and Unisun Publications. She worked as Associate Professor of English at All Saints’ College, Trivandrum, and is now a full-time writer. 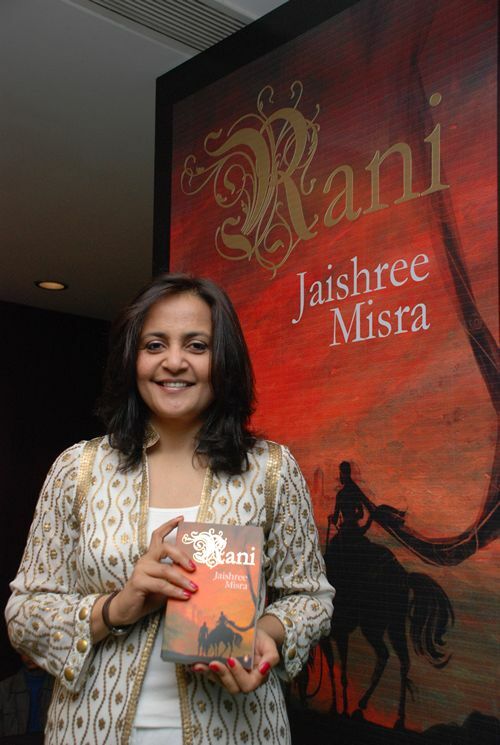 Jaishree Misra, well known author of seven best selling novels, the Ancient Promises, Rani, Afterwards, Secrets and Lies, Secrets and Sins, Scandalous secret, and Accidents like Love and Marriage, will interact with students of Kendriya Vidyalaya (KV) Pattom, on April 22 at 10.00 am at the ‘Meet the Author’ session, organized in connection with the World Book and Copyright Day 2014 and the Schools’ Golden jubilee Celebration. "I don’t go looking for trouble. Trouble usually finds me." HP Character & Why ? For More details, visit the Library.